Celebrate the joys of Latin cooking and healthy eating with Latin Comfort Foods Made Healthy! 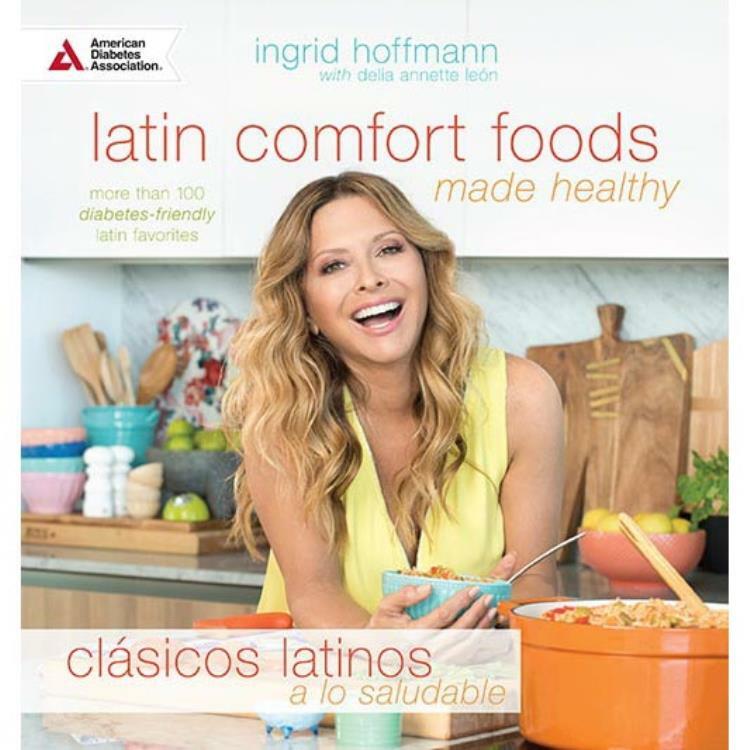 Following in the footsteps of her highly successful books Simply Delicioso, Delicioso, and Latin D'Lite, cooking personality and Telemundo star Chef Ingrid Hoffmann is excited to announce Latin Comfort Foods Made Healthy, a collection of more than 100 diabetes-friendly Latin dishes. 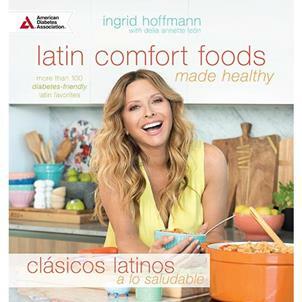 Latin Comfort Foods Made Healthy celebrates the joys of cooking and eating through healthy ingredients and recipes that are bursting with flavor. These classic Latin dishes are satisfying and demonstrate Ingrid's philosophy of easy, simple recipes with a healthy twist. Chef Ingrid turns traditional Latin cuisine into nutritious, diabetes-friendly meals that make protein, whole grains, and fresh vegetables the stars. Enjoy a variety of Latin dishes, including energizing breakfasts, exciting appetizers, hearty entrées, and sweet treats. This book is not a "diet" book—it is a tool to teach you to "eat yourself healthy." Latin Comfort Foods Made Healthy! offers exactly what the title suggests: comfort foods—the kinds of food Latinos were raised with and crave. But with a few tricks and tips from Chef Ingrid, you can make these foods in less time with healthier ingredients. The tastes and aromas of these recipes are Simply Delicioso! ¡Celebra el placer de la cocina latina con Clásicos Latinos a lo Saludable! La autora y celebridad de televisión Ingrid Hoffmann presenta una colección bilingüe de más de 100 recetas latinas adecuadas para las personas con diabetes que ofrecen muchos sabores frescos y auténticos, e ingredientes nutritivos. Desde desayunos que llenan de energía hasta sustanciosos platos principales y deliciosos postres, ¡estas recetas son simplemente deliciosas!